Never worry about your stationery needs with the magical Harry Potter Stationery Set. This set has been designed to provide you with everything that you might need in the office or school, so you can be certain you get great value. 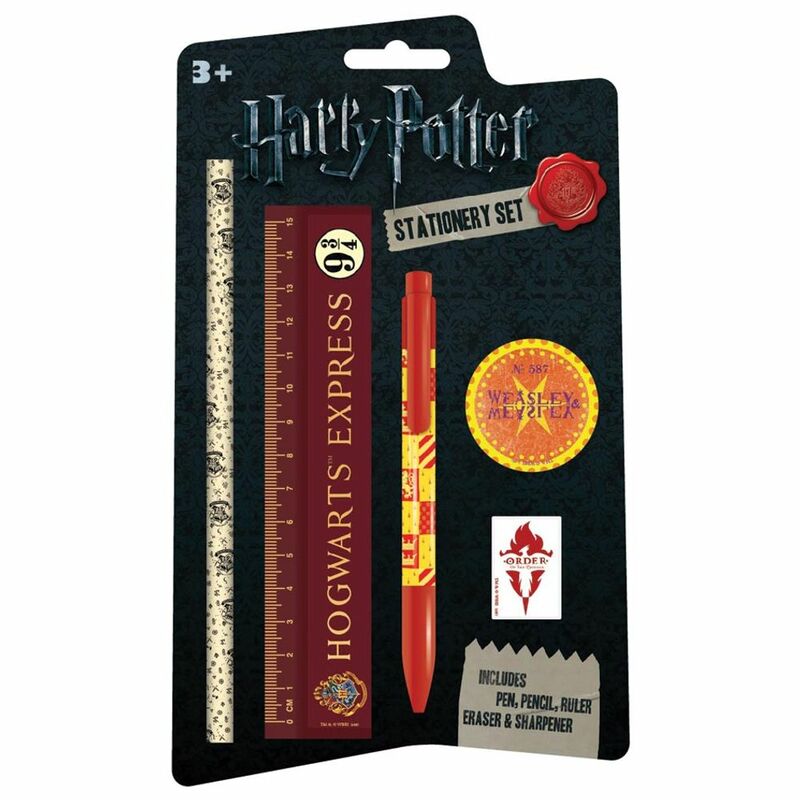 This SR72242 set contains a pen, pencil, 15cm ruler, eraser and pencil sharpener, all with fun Harry Potter themed designs to bring a touch of wizardry into your work. This set is official Harry Potter merchandise. We have a whole range of wonderful Harry Potter stationery themed items for sale here on the Post Office Shop, so bring your magical side out now! They are all available with next working day delivery, and for your normal needs we have a range of Stationery too.